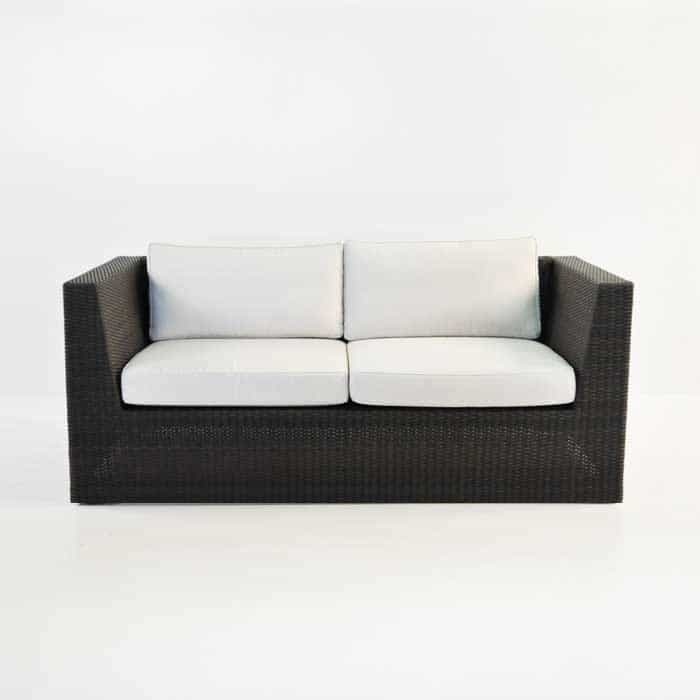 Sleek, modern and extremely comfortable; get ready to bask in the tranquility of of your surroundings with the Antonio Wicker 2 Seater. The frame is built of powder coated aluminium and finished with award winning Viro® outdoor wicker, meaning that the fuss is taken away for you! Viro® has long been recognised as a strong and sturdy product with a beautiful finish. Made out of a polyethylene synthetic fibre that has been UV treated and through dyed to ensure it wont fade, or change shape during the very hot or very cool months. This stately loveseat is a generous 175cm by 90cm, defined by clean lines, a lovely thick frame and plush Sunbrella® cushions. 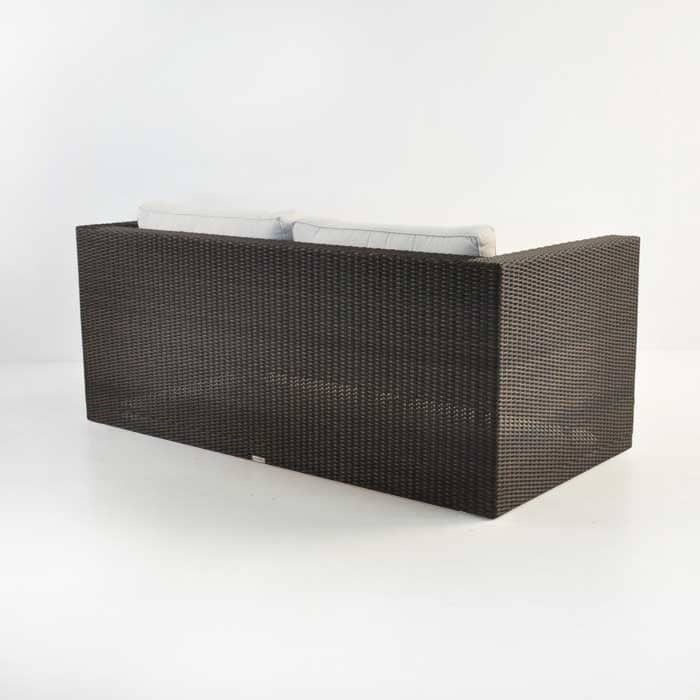 The Antonio Wicker 2 Seater enables you to relax and enjoy the outdoors on our Antonio outdoor wicker 2 seater. Design Warehouse only uses Sunbrella® cushions because of their durability. We are proud to now use QuickDry® foam so you don’t have to worry about taking your cushions indoors overnight or during the occasional rainfall. 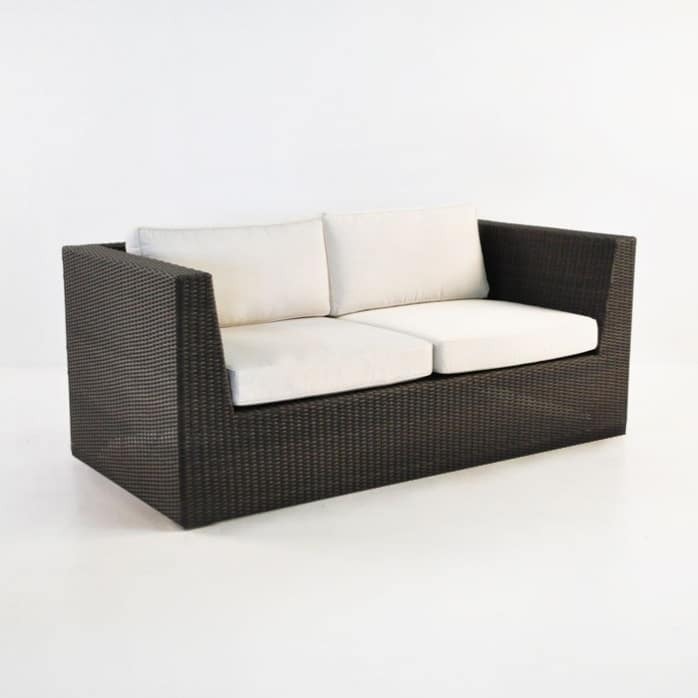 So rest assured the Antonio Wicker 2 Seater is a chic piece of outdoor furniture that will stand the test of time! Alongside veritable Viro® and sumptuous Sunbrella®, we have many other marine grade products that will inspire and delight you! Choose from our signature Grade A Teak, new Reclaimed Teak, Raw Concrete, Batyline® and Textilene® mesh, and resin products. Design Warehouse has everything you could possibly need for outdoors – from exquisite bar furniture to an amazing range of dining tables, benches and chairs, as well as pool side equipment and deep seating. Have a thorough look at our website or call us today! Open from 10am, our sales assistants are waiting for your call and happy to help you find the perfect mix of materials and styles to suit and fit into your space. 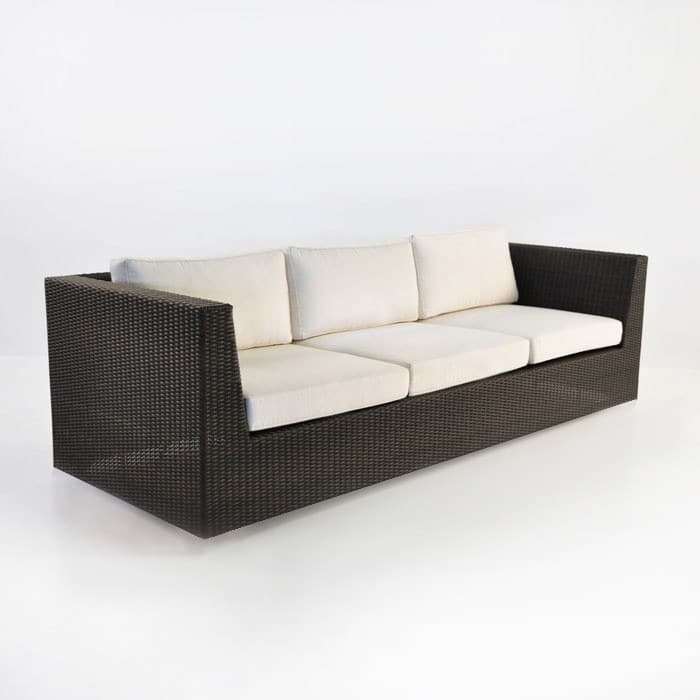 The clean smooth lines and low profile of this Antonio Wicker 2 Seater couch make it perfect for a contemporary outdoor garden or lounging area. The warm tones of the java brown wicker colour make matching this piece to your decor a breeze. The large comfortable cushions are deep and make your relaxing experience all the better. 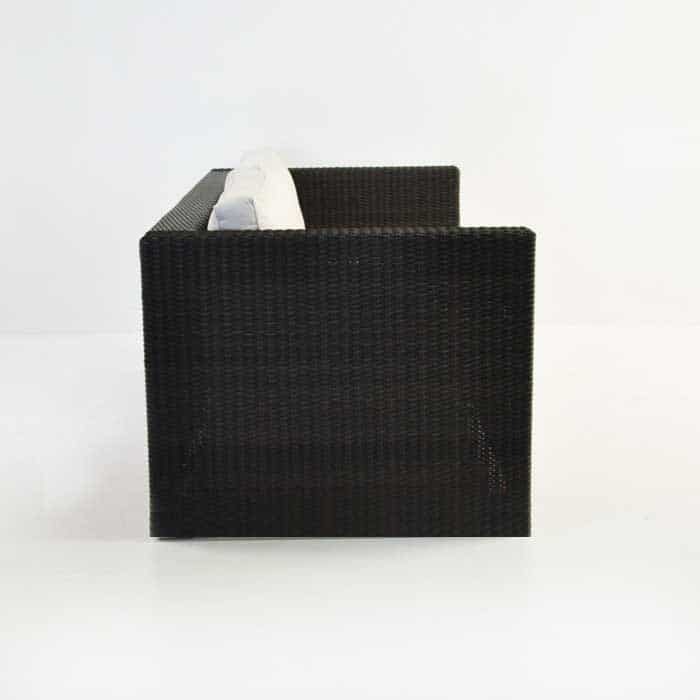 Cherish the outdoor fresh air in in this classic wicker piece. Pair it with the matching Antonio Sofa and a wicker coffee table and gather your closest friends for a delightful relaxing experience. Perhaps you’ve moved into a new home and the outdoor area needs some attention? A plain concrete patio or a lacklustre patch of grass? Let’s enliven that space! Let’s make it ready for entertaining, relaxing, enjoying the new home you’ve worked so hard to get! Set up a modern living space outdoors by placing two of the Antonio Wicker 2 Seater Loveseats on either side of its 3 Seater brother, with a gorgeous Raw Concrete Coffee Table in the centre. A couple of Square Accent Tables or Stools in the same hue of Raw Concrete in between each piece and you will have created a textured, dramatic but fundamentally comfortable area to enjoy right now and for years to come! 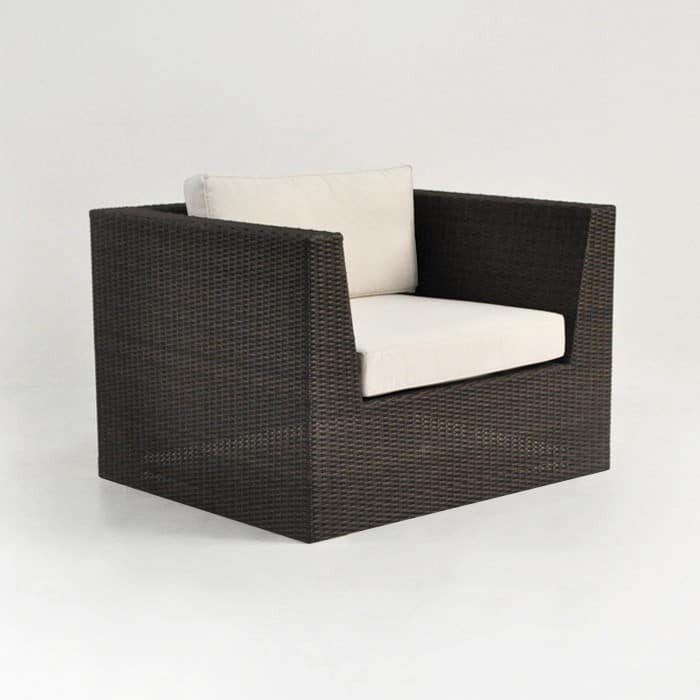 The Antonio Wicker 2 Seater is just one of our many beautiful wicker deep seating options. This handsome and cushy set is unique to us, so order yours today!